At Dodger Stadium in Los Angeles on April 25, 1976, two protesters ran into left-center field and tried to set fire to an American flag after the start of the bottom of the 4th inning. 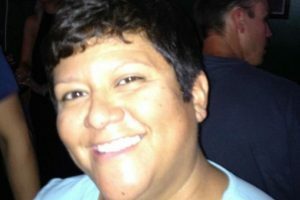 Monday, the Cubscenter fielder, had been tossing a practice ball with left fielder José Cardenal before the incident happened. 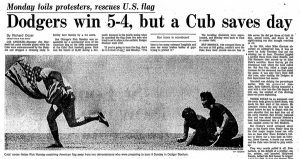 After Steve Stone of the Cubs threw a pitch that made Ted Sizemore pop out, Monday dashed over and grabbed the flag to thunderous cheers. Monday ran through the infield with the flag and while walking towards the Dodgers dugout met and handed the flag over to Dodgers pitcher Doug Rau. 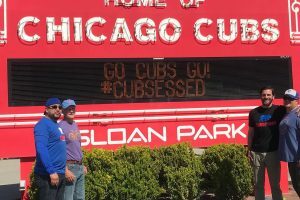 The ballpark police officers arrested and escorted the two intruders, William Thomas and his 11-year-old son, off the field and afterwards the father of the boy was fined, charged with trespassing, and put on probation. 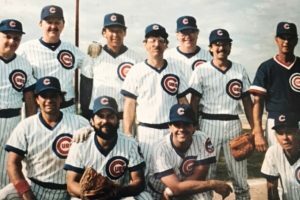 When Monday came to bat in the top half of the 5th inning, he got a standing ovation from the crowd and the big message board behind the left-field bleachers in the stadium flashed the message, “RICK MONDAY… YOU MADE A GREAT PLAY…” He later said, “If you’re going to burn the flag, don’t do it around me. I’ve been to too many veterans’ hospitals and seen too many broken bodies of guys who tried to protect it.” Monday had served a commitment with the United States Marine Corps Reserve as part of his ROTC obligation after leaving Arizona State. Monday played 19-seasons for the Kansas City/Oakland Athletics (1966–71), Chicago Cubs (1972–76) and Los Angeles Dodgers (1977–84). He compiled a lifetime .264 batting average, 1,619 hits, 241 home runs, and 775 RBI. He was selected an All-Star in 1968 and 1978. 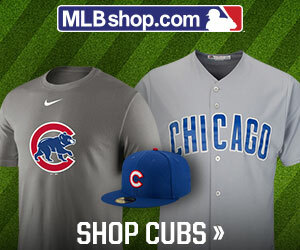 He batted and threw left-handedMonday’s best season in the major leagues came in 1976, his last with the Cubs. Batting in the leadoff position, he hit .272, establishing career highs in home runs (32), runs (107), RBI (77), total bases (271), slugging percentage (.507), and OPS (.853). He also finished 18th in the Most Valuable Player voting. On August 25, 2008, Monday was presented with an American flag flown over Valley Forge National Historical Park in honor of his 1976 bicentennial flag rescue. 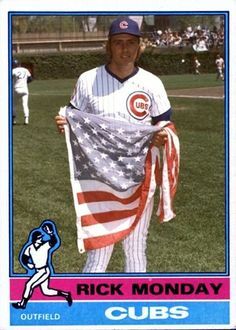 Monday still has the flag he rescued from the protesters that was presented to him on “Rick Monday Day”, May 4, 1976, during a pregame ceremony at Wrigley Field by an executive of the Dodgers organization; he has been offered up to $1 million to sell it, but has declined all offers. During a Dodger Stadium game on September 2, 2008, Monday was presented with a Peace On Earth Medallion and a medallion lapel pin by Patricia Kennedy, founder of the non-profit organization Step Up 4 Vets, for his valor and patriotic actions on April 25, 1976 at Dodger Stadium.